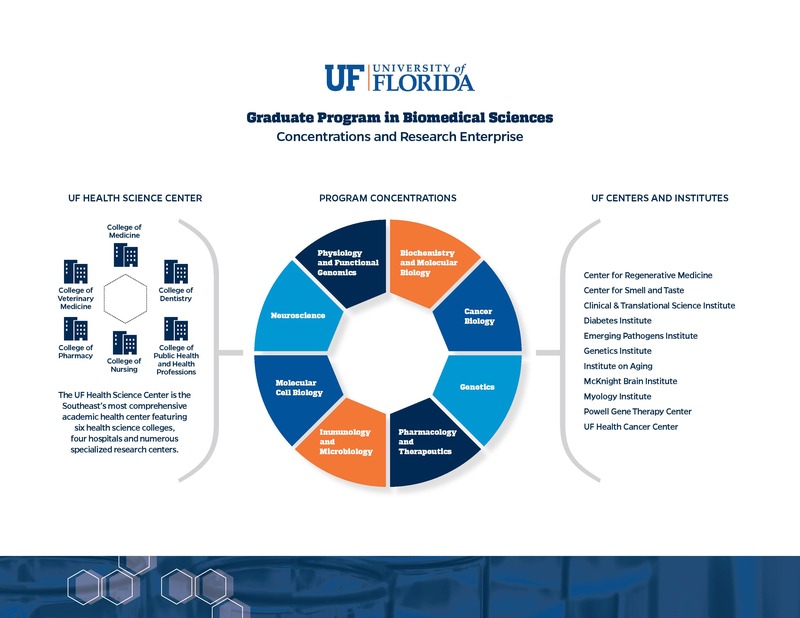 The graduate program in Biomedical Sciences at the University of Florida is supported by eight basic science departments that cooperate in the recruitment, admission and training of predoctoral students. 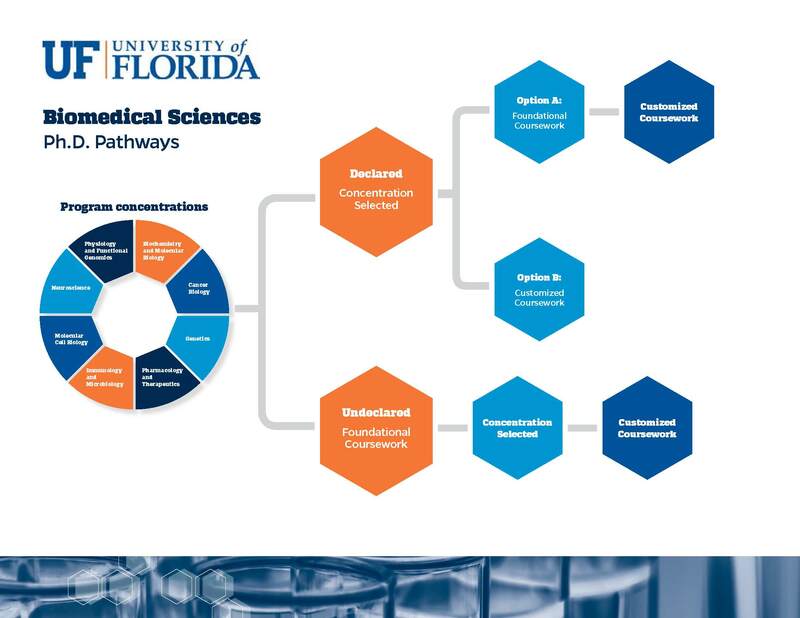 Specialized training is available via eight advanced interdepartmental concentrations, which can be thought of as majors, although the degree is a Ph.D. in Medical Sciences. The mission of the program is to provide a predoctoral educational experience that will train experimentalists and scholars for a wide range of careers in biomedical sciences. The curriculum is designed to provide maximum flexibility for the training of biomedical research scientists. The educational goals are to promote biological literacy by providing core and advanced curricula covering key chemical, biological and genetic principles using molecular, cellular and physiological approaches, and to promote scholarship in biomedical science through mentored, original research. Students joining the Graduate Program in Biomedical Sciences are given maximum flexibility to pursue a wide-range of research and curriculum opportunities. The biomedical science program offers specialization in eight different concentrations of study. Students can fast-track with a mentor and declare their concentration of study at any time, or they can spend the first year exploring different concentrations and research opportunities before choosing their mentor and concentration. The program also offers students flexibility to choose or design a curriculum that best meets the goals of their PhD training. Prospective student? Request more info.